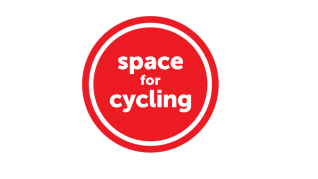 Tameside Green Party candidates in this week’s local elections have backed proposals from Space for Cycling campaign to support specific improvements to road layouts to make it easier and safer for cyclists to get about Tameside. Tameside Green Party agree that we should be making it easier for people to get around by bike or on foot, getting onto our bikes is great for our physical and mental health as well as improving the air quality and our bank balances! Greater Manchester has agreed to invest over £30million in the first phase of the VéloCity program, we need to ensure this money is spent effectively in Tameside. We also need to ensure the VéloCity program is extended to cover the whole of Greater Manchester, with funding until 2025, as pledged in Transport for Greater Manchester’s VéloCity 2025 bid document.